What is seller carryback financing? 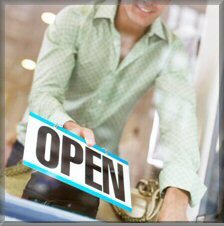 Seller carryback financing is when the seller of an existing business takes a note for part of the purchase price. Usually the note is subordinate to the primary financing, which means if the business fails, the primary funder gets repaid before the subordinate (seller). About 40% of businesses sold have some type of seller carryback financing. It is usually because the buyer cannot get financing for the full purchase price and does not have enough cash to pay the full purchase price. If sellers don't offer carryback financing, they will have fewer purchasers or will have to reduce their sales price. If sellers are willing to take carryback financing, it indicates they are confident in the purchaser's ability to make a profit. Lenders often prohibit or restrict carryback financing, because they want their borrower to have enough cash to pay debt service plus make a profit. Carryback financing reduces the borrower's cash flow and profit levels. Lenders also want the borrower to have significant personal investment in the business, and carryback financing reduces that investment. Not disclosing carryback financing to lenders can be considered fraud. If the business fails, there are major legal entanglements to enforce a subordinate loan. Carryback financing can be used as a way to inflate the price of a business, if realistically the business cannot support the primary loan plus carryback financing.